The design of the new NATO Headquarters in Brussels, Belgium, reflects the unity and adaptability of the Alliance. State-of-the-art facilities will enable the building to respond to the Alliance’s evolving needs long into the future, while its forward-looking design delivers a sustainable building that significantly reduces the Organization’s environmental footprint. The world has changed a great deal since NATO’s current headquarters was built back in 1967. 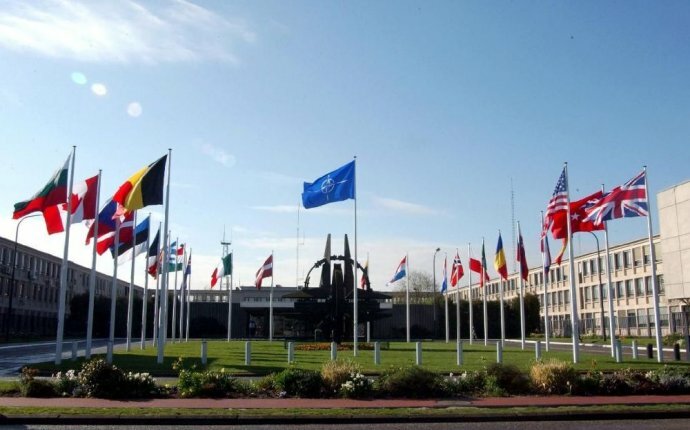 Since then, the number of NATO members has almost doubled, from 15 to 29. At the same time, a large number of partner countries have opened diplomatic representations at NATO Headquarters. As a result, the current headquarters building has become seriously overcrowded, with almost one-fifth (17%) of the office space now located in temporary structures. Moreover, the current building requires constant and costly maintenance. Construction of a new headquarters building began with a ground-breaking ceremony in December 2010, and the official handover from host country Belgium to NATO took place on 25 May 2017. Part of the continuity between the old and new headquarters, which stand opposite each other on either side of Boulevard Léopold III in north-east Brussels, comes from the design. Aerial views of the buildings clearly show that the concept of interlocking fingers – symbolising Allied unity and cooperation – inspired the architects back in 1967, just as it did for the new building. The resemblances, however, stop there. The state-of-the-art new building will be able to accommodate NATO's changing requirements long into the future, with the design allowing for a configurable use of the building. With over 250, 000 m2 –– the new building will provide Allies with all the space they need for years to come. Should more be required at some point in the future, the design is deliberately conceived to allow for further expansion. @Aravind8 @AMike4761 In Brussels, Belgium - HQ of NATO and Capital of EU, Islam is 25% of population, but only 6% nationally - coincidence?